D.C. 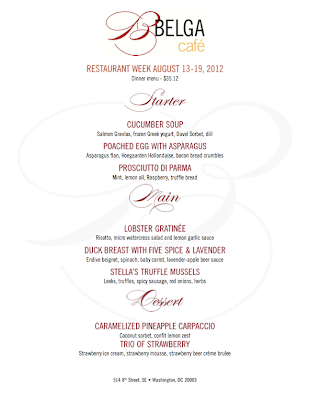 Restaurant Week ~ Learn, Live, and Explore! 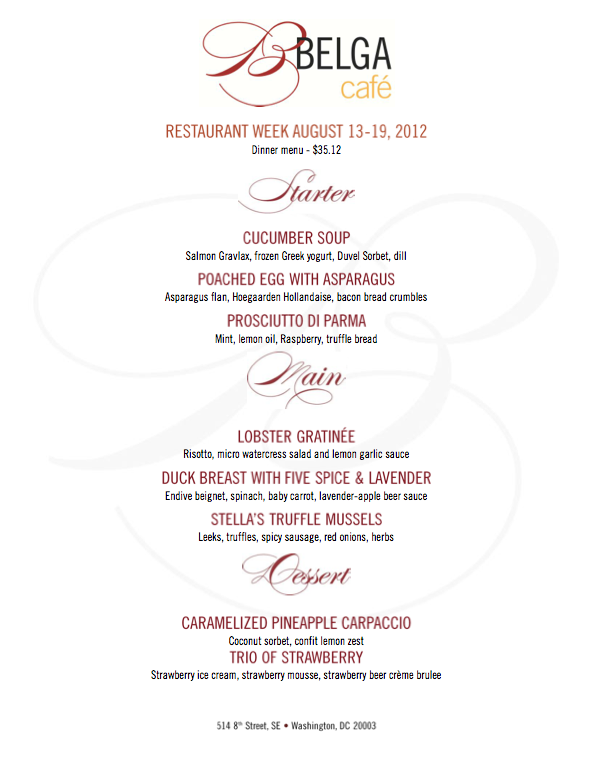 In August, Washington D.C. hosts the summer version of the bi-annual Restaurant Week, where more than 200 of the best restaurants in the city offer 3-course lunches and 3-course dinners for a discounted, prix-fixe amount, normally tied into the year (e.g. in 2012 lunches are $20.12 and dinners are $35.12). This is the best time to finally get out and dine at establishments whose prices are often as high as their popularity level. This year, I had the opportunity to try out a favorite establishment in the Capitol Hill area that specializes in updated traditional Belgian cuisine. I'm a picky eater so obviously I didn't like most of the event menu! Shocking. While I ordered some yummy chicken, my friends tried and enjoyed most of their special selections. But the best bites of the night were the absolutely delicious frites dipped in garlic mayonaise. Frites, or as we call them french fries, are a staple in Belgium, and we absolutely had to order them. Biggest mistake of the night: the "beergarita" - muddled strawberries, some citrus, and beer. A lot more beer than my taste buds were prepared to discover. The combination was absolutely horrendous! Overall, not too impressed by Belga Cafe, aside from the frites. I think I'll try something new when the Winter Restaurant Week rolls around.